How Far is AB Landmark Elysium? Elysium is a project by A B Landmark located in Hinjewadi, Pune offering aesthetic and thoughtfully designed 2 BHK apartments. It is currently under construction and consists of 96 units spanned over 1 tower. Elysium price rate starts from Rs. 35 Lac onward. The project is well equipped with amenities and also has good connectivity to the rest of the city. Elysium is a currently under construction residential project skilfully located in Hinjewadi, Pune. A B Landmark with their 17 years of experience are developing a lavish and well thought infrastructure offering spacious 2 BHK apartments. Elysium plot areas for its 2 BHK flat range from 775 sq. ft. to 958 sq. ft.
Elysium 2 BHK lavish apartments are being designed with certain specifications and interiors like anti skid ceramic tiles and vitrified tiles flooring, teak wood frame doors, concealed copper wiring, imported fitted kitchen with granite platform, UPVC French windows, branded fixtures etc. Elysium has various amenities and features like security, power back up, reserved parking, jogging & strolling track, event space, solar energy, multipurpose hall, large open space, club house, health club, sky deck, golf course, conference room, waste disposal, vaastu compliant, internet & Wi-Fi connectivity, multipurpose courts, indoor squash & badminton courts, canopy walk, air conditioned, piped gas, rain water harvesting, flower gardens, and intercom facility, etc. among many others for the residents. 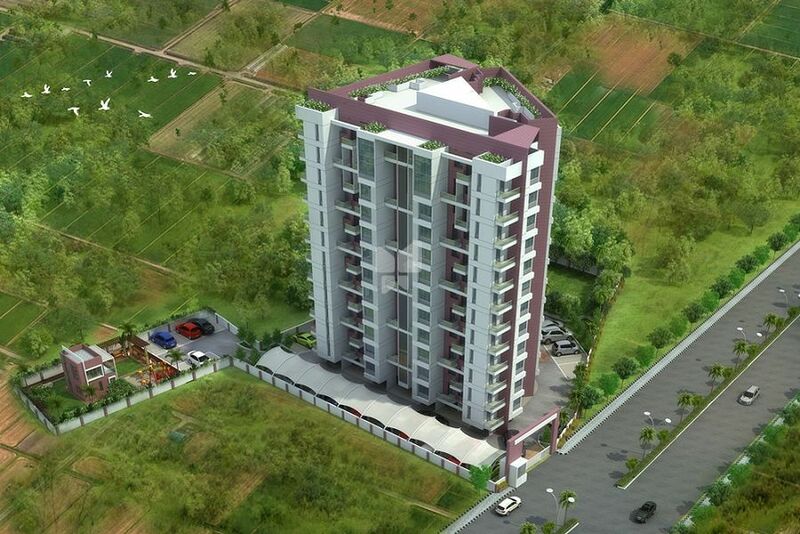 Elysium is a residential project located in Hinjewadi, the western suburb of Pune. The area has a lush green surrounding and is in close proximity to Rajiv Gandhi Infotech Park. Elysium locality is just 10 min from NH 48 and 25 min from Mumbai - Pune Expressway. The area also has various utilities like KLAY Prep Schools and DayCare, Infosys Phase 2 Bus Stop, Hinjewadi Hospital etc. Hinjewadi is in the western suburb of Pune, located just 25 KM from the city. An acclaimed commercial zone of the city is located off the NH 4 Bypass to the west of the city thereby, providing superlative connectivity benefits to its residents. The locality is blessed to have a lush green backdrop and great infrastructure. Additionally, the proximity to Rajiv Gandhi Infotech Park has been a bliss for the localitys residential market because of the presence of reputed IT and other companies. 6 "thick walls, External sand faced plaster & internal gypsum finish plaster. Granite top kitchen platform with S. S. Sink. Provision for exhaust & water purifier. Vitrified tiles flooring for entire flat. Anti-skid for dry balcony, terraces & toilets. Digital wall tiles dado for bathroom & kitchen. Wooden flooring for master toilet. Powder coated aluminum sliding windows with safety grills & mosquito net. Decorative mein entrance door with quality fittings. 'Polycab' wires or equivalent make concealed electrical wiring with branded switches. A.C. point in m. bedroom. Tele/ TV point in living & m. bedroom. CPVC concealed plumbing with 'jaguar' or equivalent make C P. fittings. Anti-skid flooring, Designer dado tile up to ceiling level, provision for geyser and exhaust fan. External emulsion paint & OBD paint for internal walls. S. S. & glass railing for balconies and terrace. Dado tile up to 4', Inlet & outlet for W.M., Electrical provision for W.M.